Are you someone who enjoys change? 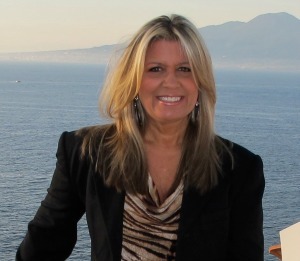 I love a fresh start and I’m always excited when a new year begins, as I dream about the possibilities it may bring. Will there be exciting travel, new design projects, fascinating people to meet? But before I move ahead, I wanted to take a brief look back at the past year and share some of the highlights with you. Today I’m joining with a very talented group of bloggers to bring you our Top 10 Posts of 2017. These are not necessarily our favorite posts but the posts that were actually the most popular on our blogs. Be sure to check out all the other bloggers, linked at the bottom of this post. But for now let’s look at the Top 10 Posts of 2017 from Designthusiasm. To see the full post, click on the title or the image. 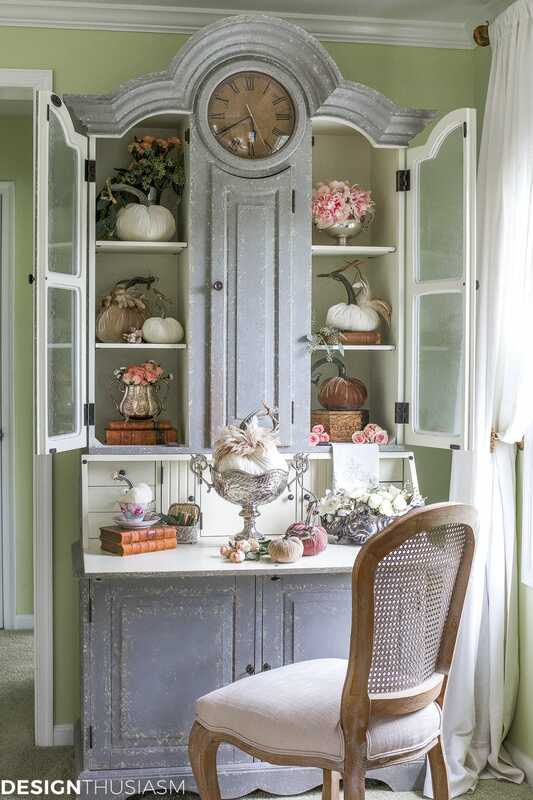 I was a little surprised to find this was my number one post for the year, but you all seem to love the seasonal decor posts and the styling of my hutch came out on top! 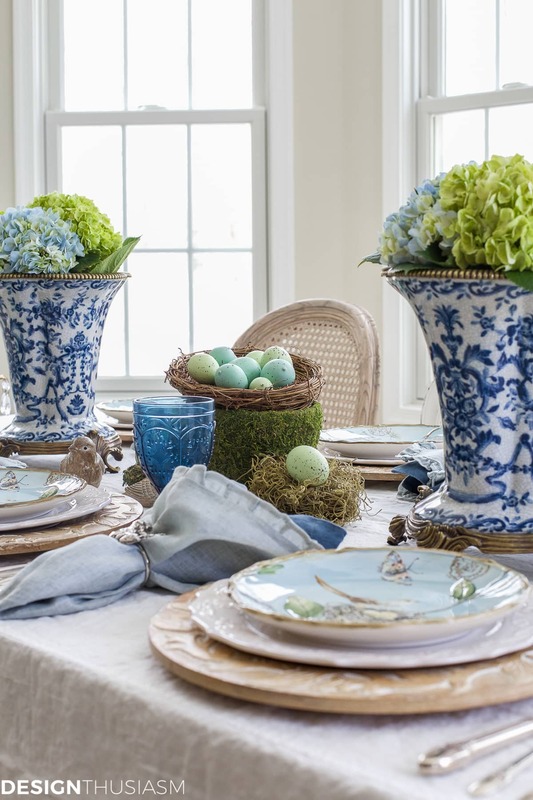 Tablescapes are always among my most visited posts and this Easter table was a clear reader favorite. I’ve used these plates many times before but this table showed them in a completely new light. 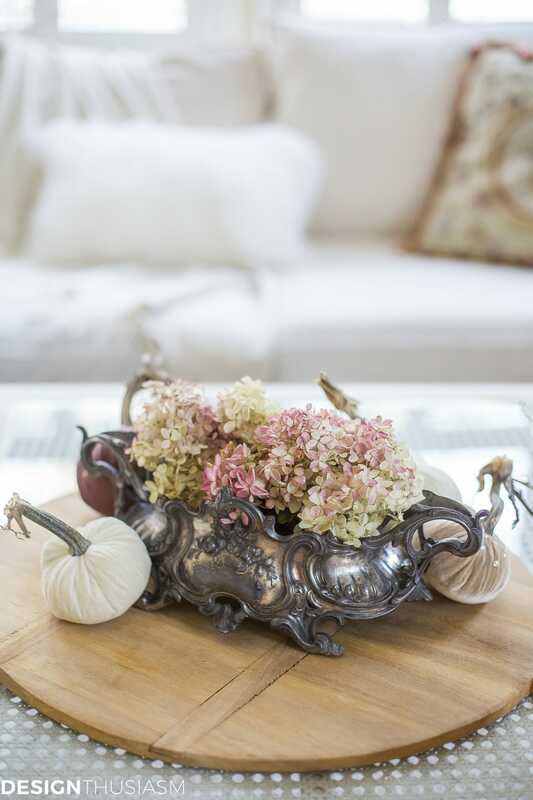 Another vote for fall decor, this soft fall color palette was a reader favorite. Fun for me as this room was in transition and there will be more changes coming up in 2018. I always find kitchen posts to do quite well but this holiday post of my kitchen did exceptionally well. Rare for me to use red, but this post underscored how easy it is to change your look when you’re working with a white backdrop. 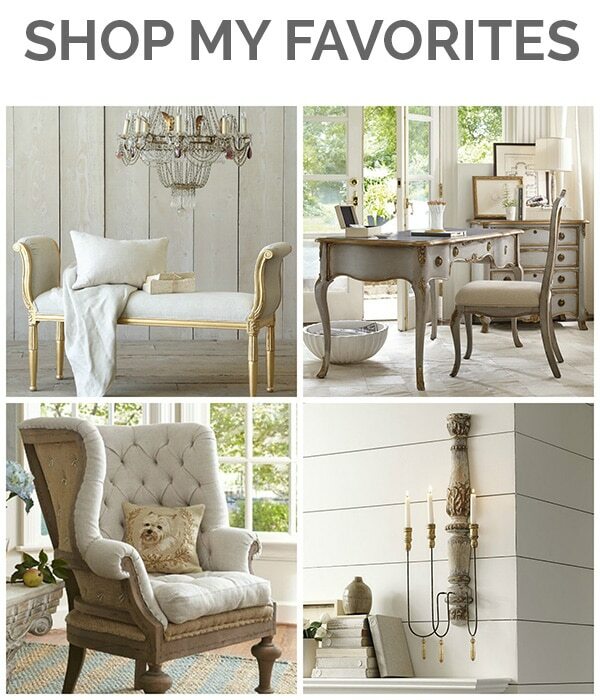 Another category that always does well is my shopping guide posts. 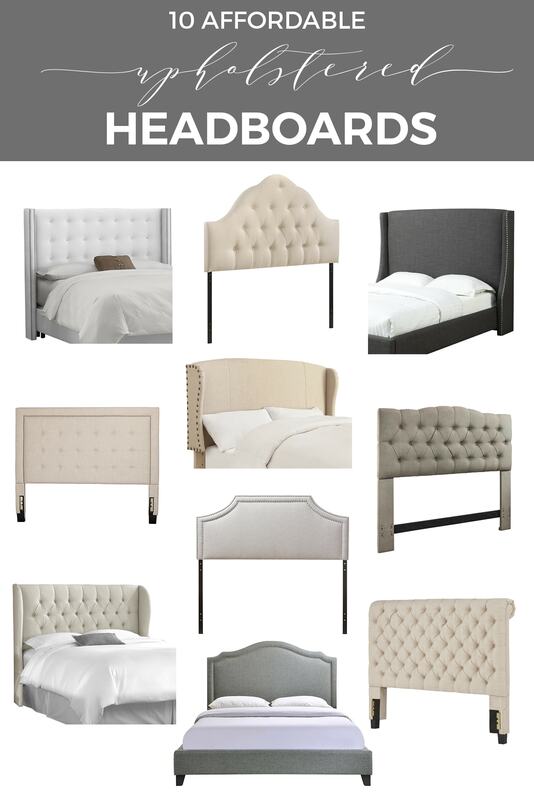 This year, two of them made the top 10 with this upholstered headboard post taking the number 5 spot. 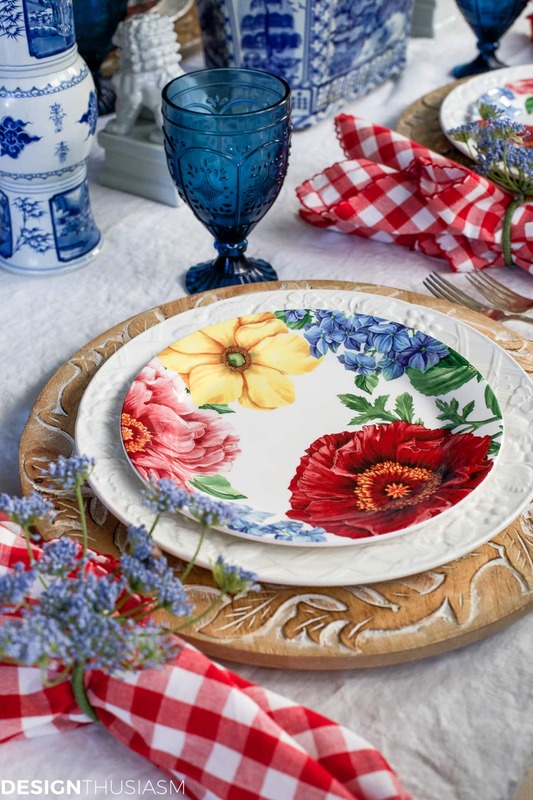 It’s nice for me to see one of my summer posts in the top 10, and this garden party inspired table was among the most viewed. There will be more table settings coming up this year! 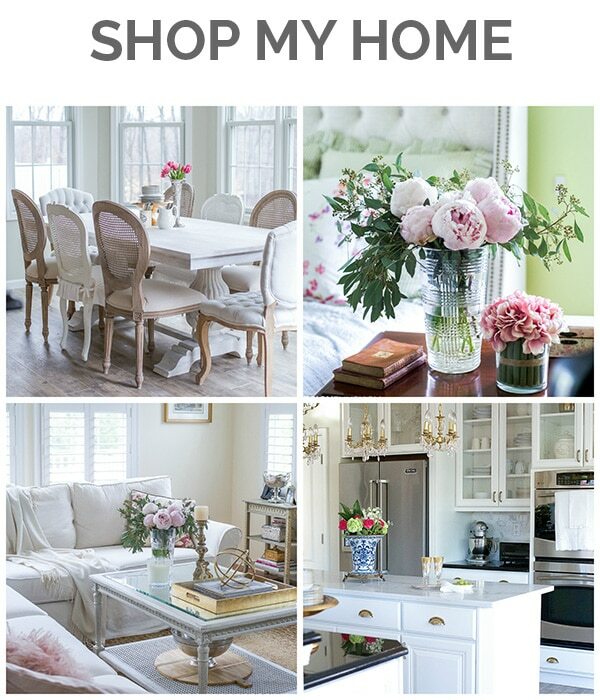 Another popular post was a simple room transformation brought about by one piece of furniture. This breakfast room embodies the direction I’m headed this year, so expect some more changes along this line. 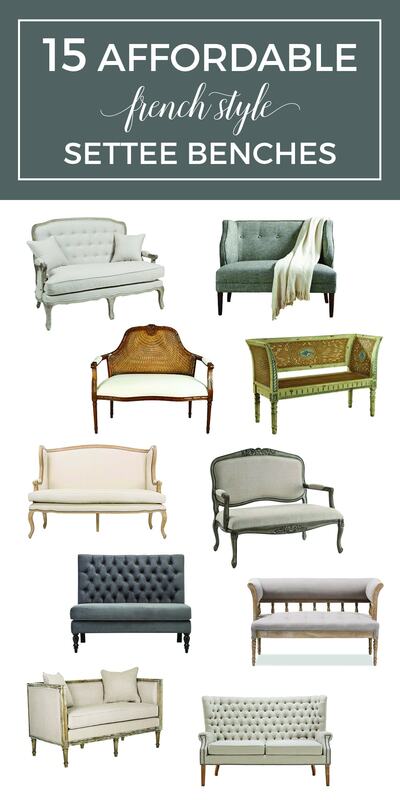 The second shopping guide that made the top 10 was the French style settee benches. I will be updating the old guides as pieces become unavailable, as well as doing new guides this coming year. 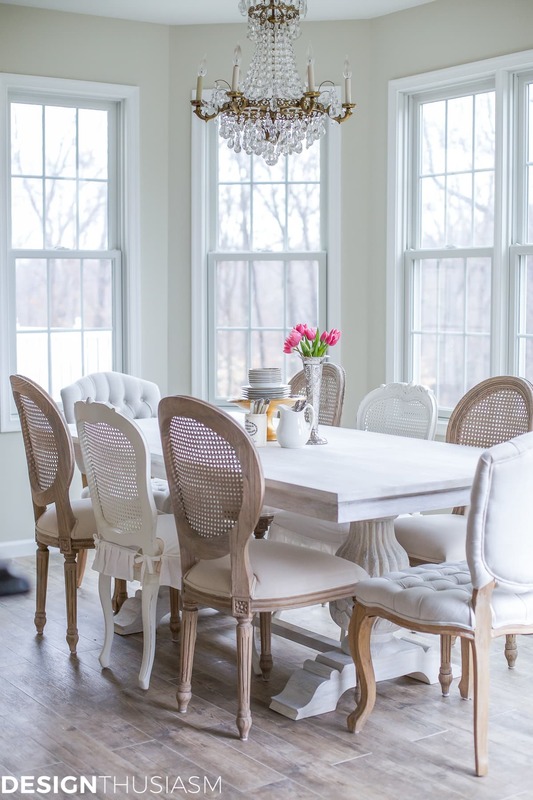 One room I reworked this past year was our dining room and this post was included in the top 10. I still have a few finishing touches to add to the space, so be on the lookout for one more post upcoming. 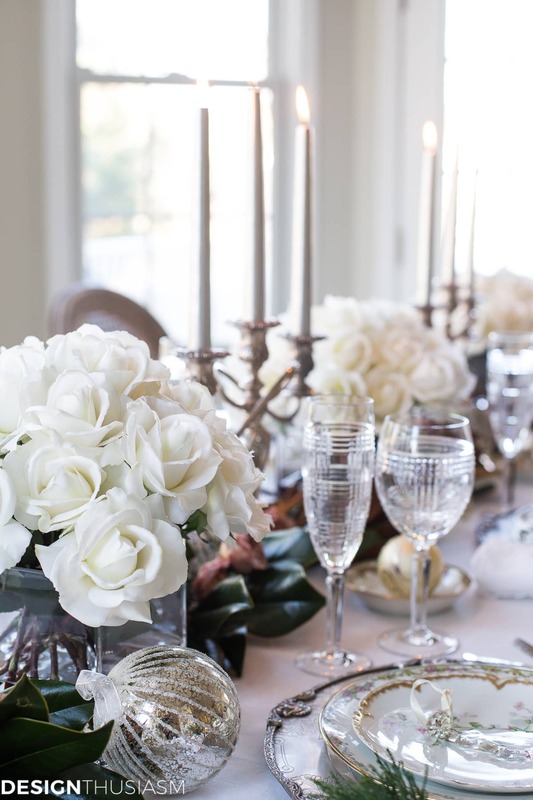 Yet another tablescape post in the top 10 was my winter-white-toned Christmas table. It was nice to see that both my brightly colored table stylings, as well as the more neutral ones did equally well. I have so much more on tap for the coming year! If only time and budget could keep up with my ideas, I’d be posting daily, but be sure to stop back often for all that’s in store. 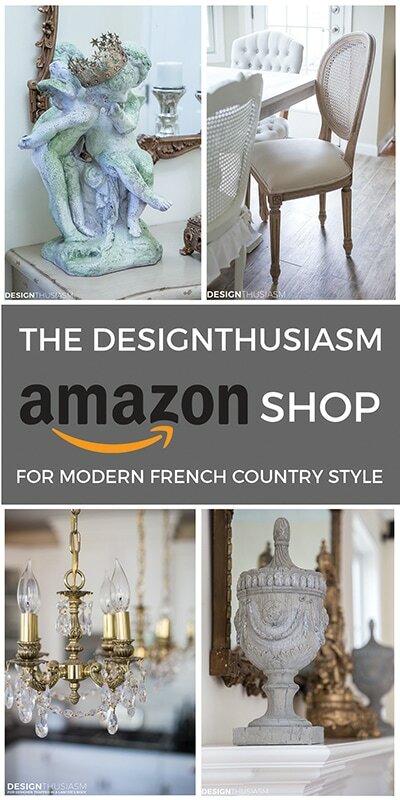 There will be at least one major renovation, several room updates, many more tablescapes and a whole lot more shopping guidance. Wishing you all the best for 2018!! 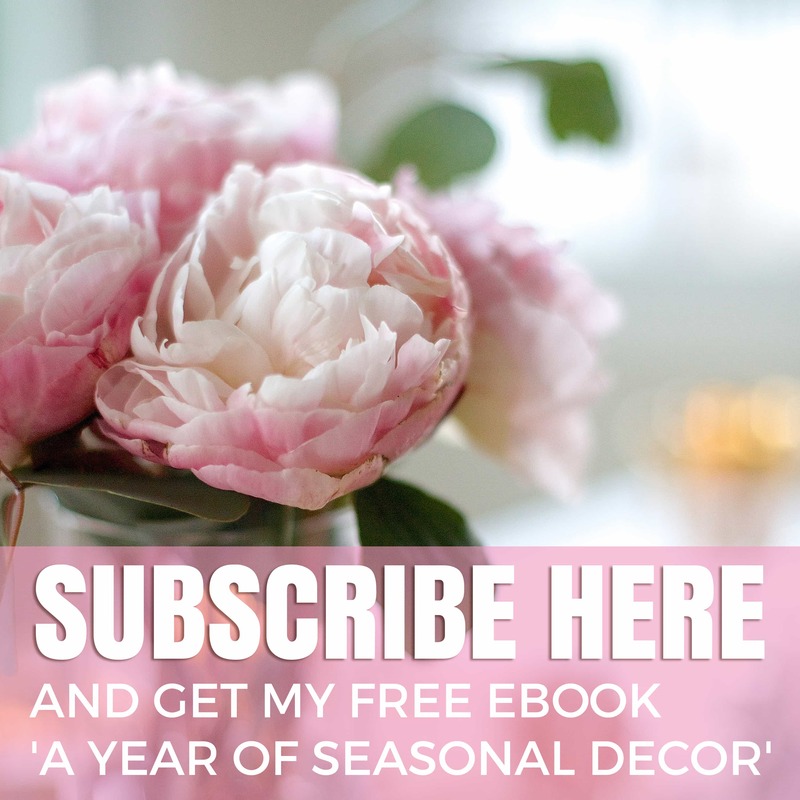 Please join me in visiting the following bloggers Top 10 posts of 2017 to see the best of the best in home decor! Thanks so much, sweet Norma! 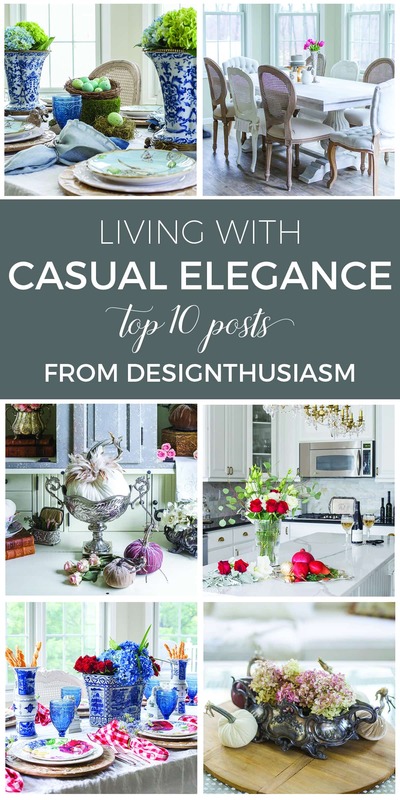 I rarely post comments on the decorating blogs I follow. But I must this time. Lory, I love your style. 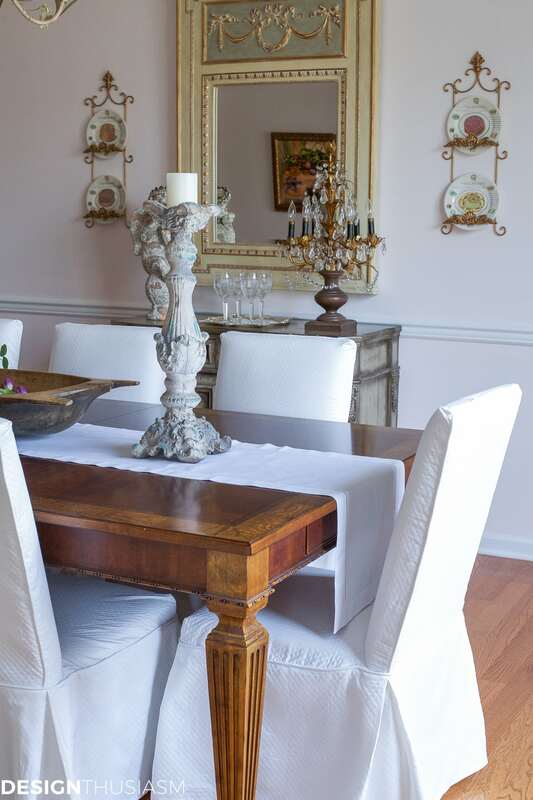 It’s elegant, understated, and doable. So many decorating bloggers I read have cluttered their homes with all kinds of do-dads or even way too many beautiful things. Only their photography of a single vignette saves them. 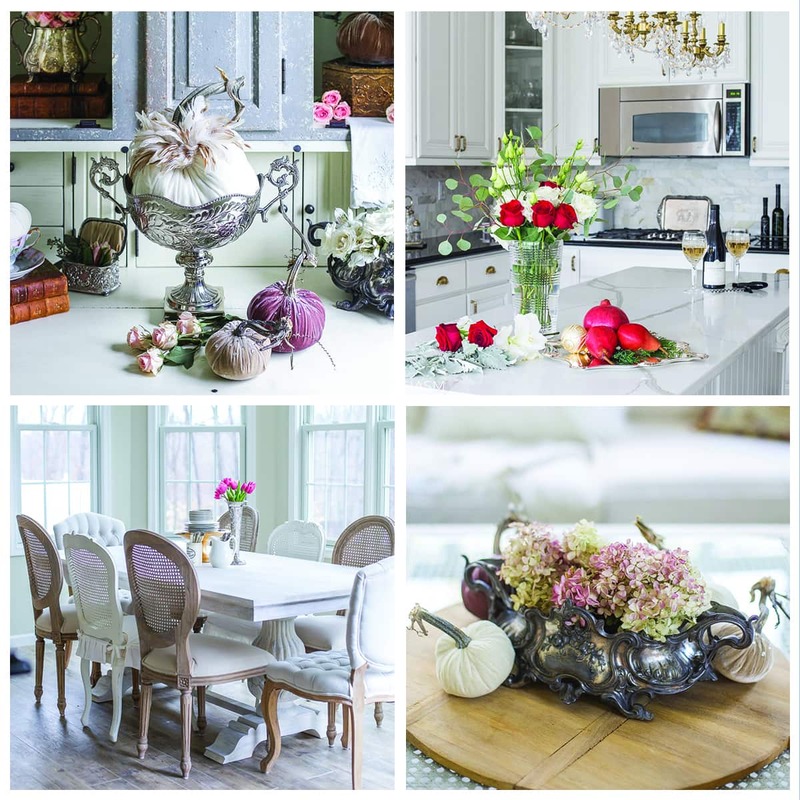 Seen as a whole, their rooms are virtually choked with decor overload. I am also grateful for the sources you provide for the items you use. You recently saved me hundreds of dollars with the resource for the dining chairs I had been searching for – at an affordable price. YOU posted where I could find them and I benefitted! Even my husband was impressed. Please continue your wonderful posts. 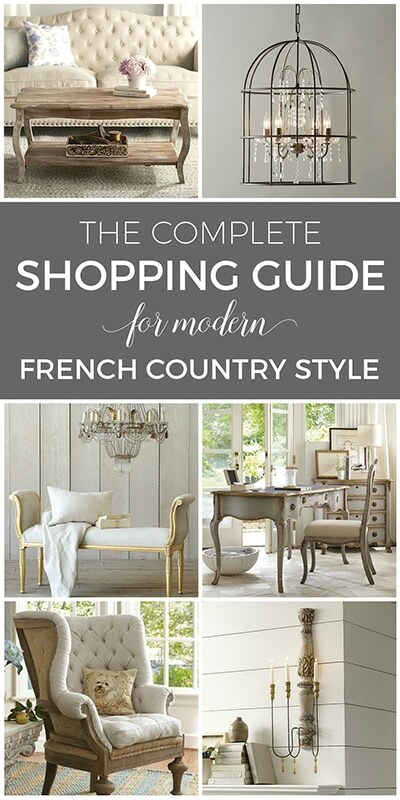 I love elegant but affordable and comfortable French style and you show exactly how it can be done. Thank you. Merci mille fois! What a lovely comment to receive!! I so appreciate everything you said here… 🙂 It makes what I do so enjoyable when I know people appreciate it! love my silver. You have inspired me to polish as I have enjoyed the tarnished look. What a difference it makes. Voila’, I now have an entirely new look and an empty polish container. Love your blog and the inserts of others. Thanks so much! Glad to have inspired you… 🙂 Enjoy your silver!! Hi Lory! Sitting here with jaw dropped and eyes like saucers! I love every one of those posts. Very classy & such a variety. 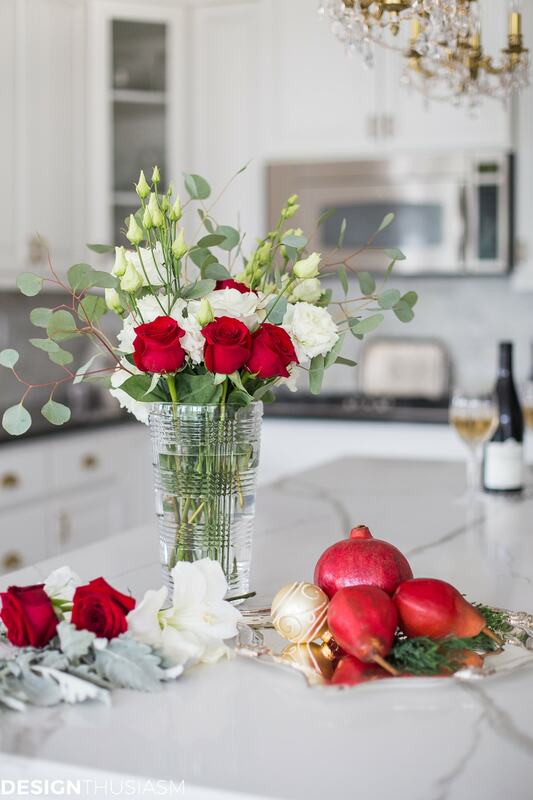 Your decorating and photography is beautiful. Some great reads shared here thanks so much, I truly enjoyed my visit and look forward to coming back.